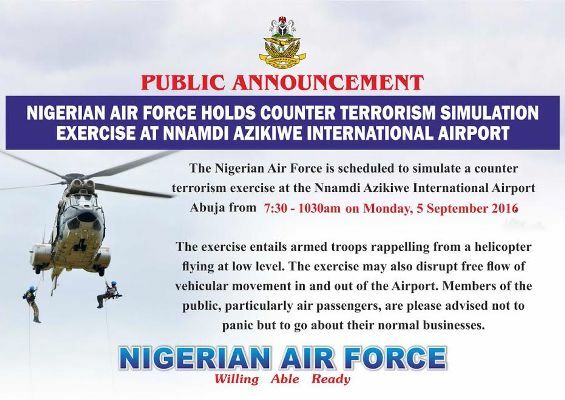 The Nigerian Air Force is scheduled to simulate a counter terrorism exercise at the Nnamdi Azikiwe International Airport Abuja from 7:30-10:30 am on Monday, 5 September 2016. The exercise entails armed troops rappelling from a helicopter flying at low level. The exercise may also disrupt free flow of vehicular movement in and out of the Airport. 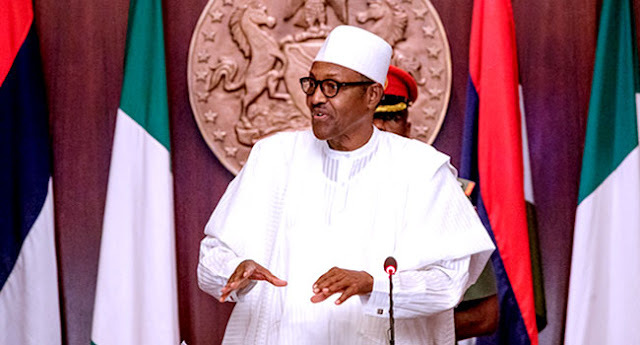 Members of the public, particularly air passengers, are please advised not to panic but to go about their normal business.